Hater is the word from modern vernacular to describe someone who doesn't like something. It doesn't matter what it is, if you don't like it, you're a hater. Well, Momus was the original hater. He hated everything. He was like Mikey. 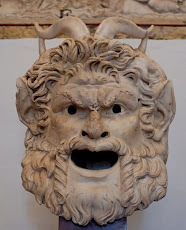 Nothing pleased Momus, the demigod of mockery, blame, ridicule, scorn, complaint and stinging criticism. He was expelled from heaven for ridiculing the gods. 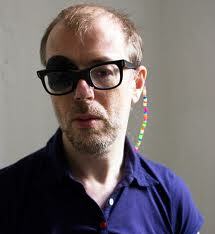 We don't know if the demigod Momus looked at all like this dufus who also calls himself Momus, but it seems fitting. We do know from the Hesiod that Momus was a son of Nyx, begat of no one. The goddess Aphrodite. And since we know from her many vices and flaws of character that she was far from perfect we have good reason to question Momus' judgement as the arbiter of what is or is not worthy or mockery. Nonetheless, a gadfly in the hall of the gods working on no one in particular's behalf to take the gods down a peg is in and of itself a worthy endeavor. Hate on, Momus.